How did I not know that Kelly Wearstler has a new blog? I love that she just does stuff. I swear 99% of the people I meet in life talk about what they want to do with their lives, or are going to do, building a mythic, perfect future, while doing nothing now to get to that future. The older I get, the less patient I am with people talking about what they want, and the happier I am to hear people talking about what they are doing. Kelly just does stuff – paints her own fabric patterns and wall paper, designs a ready-to-wear line, makes jewelry. She just does it, and you don’t have to love her aesthetic to appreciate that she is swinging for her own personal fences, every day. I admire that so much. From her site: her style tray, for an estate in Kuwait. 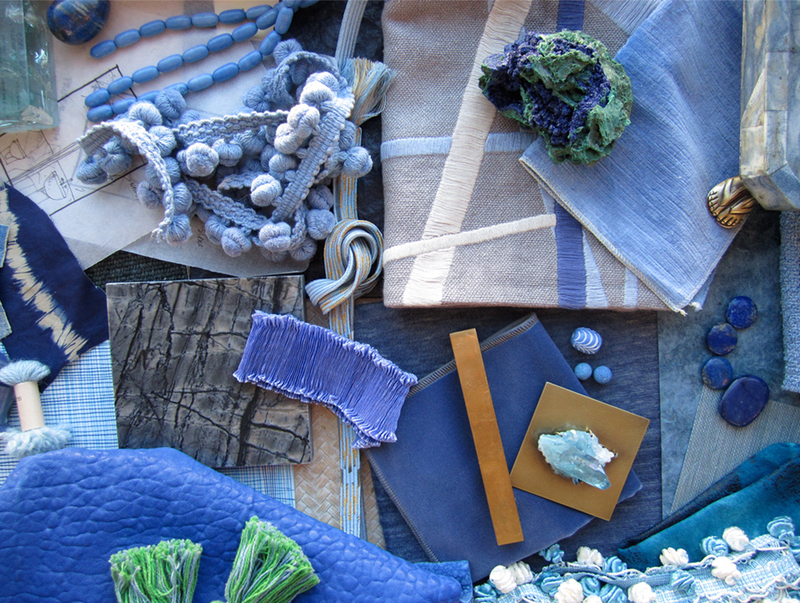 This is the visual colour palette of my fondest dreams, right here, all dreamy blues, and periwinkles.